What is the remedy for pain? According to two recent studies, most Americans are using over-the-counter and prescription medications. But pain medications do not stop the pain, according to scientists. They just stop the brain from receiving the message of pain. One local healthcare expert says the cure for pain is physical therapy. Physical therapy creates exercises that help rebuild and restore the body, said Bredy. It is one of the best choices for treating chronic pain or an injury, according to WebMD. “Any type of pain that you can experience can be addressed with physical therapy,” said Vania Bredy, co-founder of Bredy Physical Therapy & Sports Rehab. According to the Centers for Disease Control and Prevention, 59 percent of Americans are dependent on prescription painkillers, a trend that has led to a recent opioid epidemic. And for every 100 prescriptions filled in 2017 in Miami-Dade County, 28 were for opioids. Doctors at Cleveland Clinic stated that pain medications do not treat the root cause of pain, but instead, they just mask it. 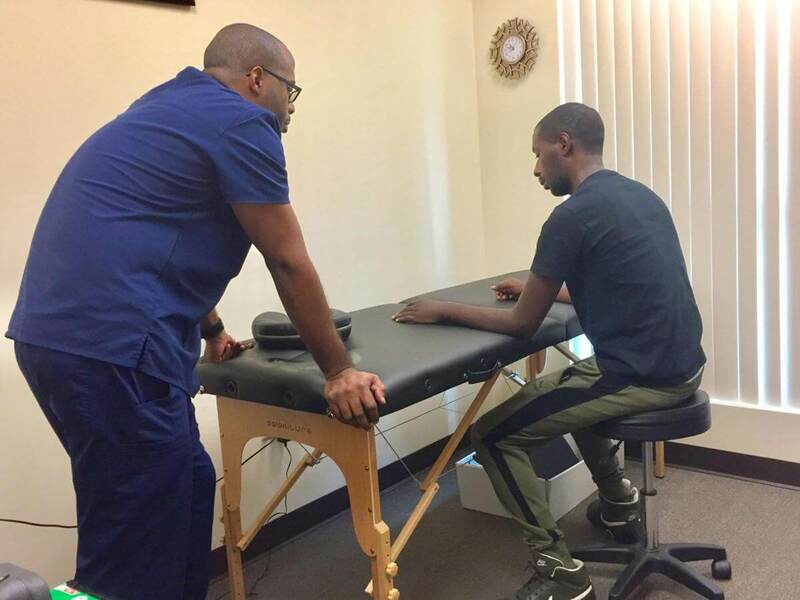 Bredy’s practice in Miramar treats patients with chronic pain such as slip discs, major injuries from accidents, or minor injuries from sports. After being involved in a car accident, Terry Thomas Jr. sustained multiple injuries including fractures to his arm. He was referred to Bredy Physical Therapy following his surgery. Within two months, Thomas was able to reduce his pain and find more functionality with his joints. “I’ve made more progress than I thought possible…,” Thomas said. During physical therapy, patients learn exercises that they can continue after they leave, whether it be at home or after the prescribed length of the therapy. It can be used on any part of the body. Patients with onetime injuries usually only need to see a physical therapist two to three times a week for six to eight weeks. During this time, the patients are pushed to their pain thresholds but with long-term benefits. “Physical therapy initially will be painful because you are dealing with something that is out of order and now you have to bring that back into order,” said Bredy, who co-owns the business with her husband, Yonel Bredy. Her husband treats at least three patients a day with manual therapy. What works for one patient may not work for another, said Bredy. “The other person may have a threshold that is greater or less than yours,” she said. Her husband works with the patients through their thresholds to find the right route for recovery. Because medications numb the pain, Bredy has seen patients who have pre-existing issues that were never treated. The shortfall is that Americans want results overnight, when it, in fact, takes time to recover, said Bredy. There is a disparity in Blacks who seek physical therapy, added Bredy. Physical therapy services can be rendered with or without a referral, so patients can seek help on their own. The Bredys went into business because of the lack of resources available in the healthcare system during their combination of 30 years in the business. socio-economic issues like poverty and lack of education. Only 19 percent of people under the age of 65 have health insurance in Miami-Dade County, according to the most recent data for the U.S. Census Bureau. The Bredys, aware of the disparities, provide free or reduced-cost wellness services to members of the community. They currently offer free exercise classes for seniors at the Robert Sharp Towers in Miami Gardens and partner with the YMCA North Pointe to facilitate onsite therapy. Bredy said every single person at one point in their life needs physical therapy. “But we don’t do that, we end up on pain medications and having all these unnecessary surgeries,” she said. This full article may also be viewed at the Miami Times website, click here to see full article.